Moonstone series freestanding bathtub combines the traditional freestanding design with a contemporary touch of simple forms and shapes. Mystic freestanding bathtub series design resembles the water droplet resonance phenomena. The sloped inner edge of the bathtub creates two comfortable inclining armrests. This gorgeous one piece freestanding tub, will bring together any bath setting as the center pihce de risistance. Minimal aesthetic design and seamless two tone colours create a master piece of style and functionality. Quartz collection features luxuriously designed corner bathtubs, with a traditional oval interior. Moulded floor pattern provides fall-prevention assurance and adds a piquant flavour to the design. 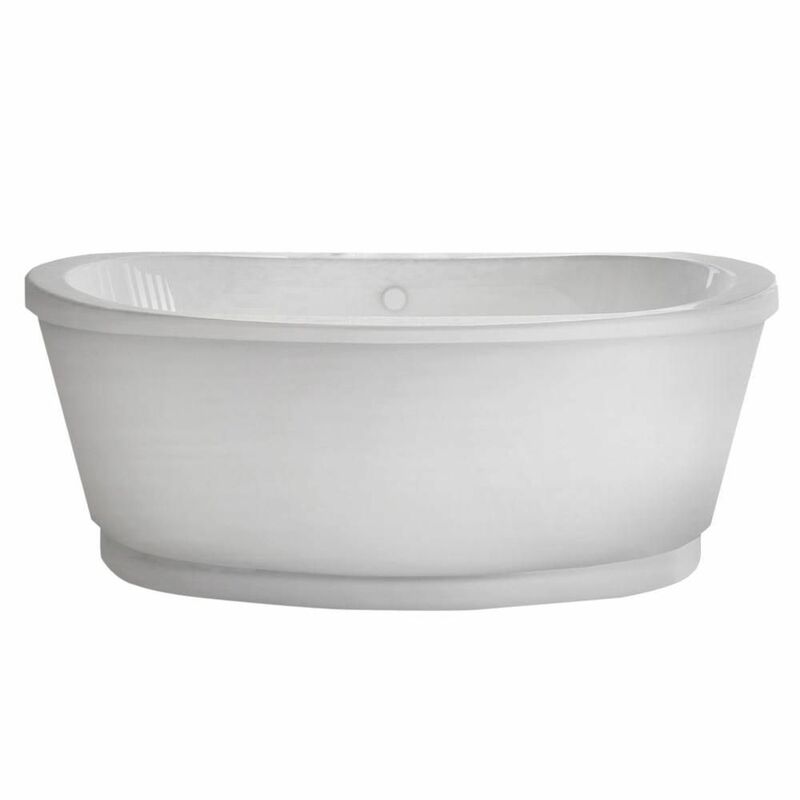 Moonstone 5 Feet 6-Inch Acrylic Oval Freestanding Non Whirlpool Bathtub in White Moonstone series freestanding bathtub combines the traditional freestanding design with a contemporary touch of simple forms and shapes. Moonstone 5 Feet 6-Inch Acrylic Oval Freestanding Non Whirlpool Bathtub in White is rated 5.0 out of 5 by 1.